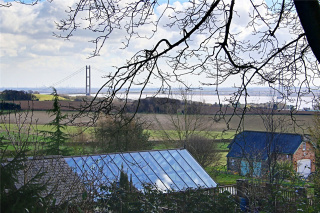 This unique contemporary property is perched on the top of Swanland Hill with superb Humber views. Completely renovated and refitted to an extremely high specification and tastefully finished throughout. 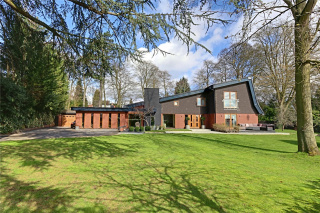 This property has true wow factor and superb leisure facilities to include; indoor pool including hot tub, full sized snooker/games room, gymnasium, first floor balcony with spiral staircase, enjoying the Humber views. 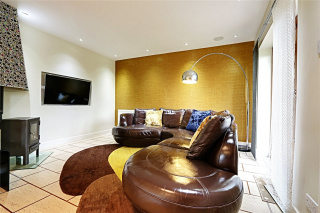 Just take a look at the photographs and floor plan to fully appreciate the exceptional lifestyle this property offers. Summary This unique contemporary property is perched on the top of Swanland Hill with superb Humber views. Completely renovated and refitted to an extremely high specification and tastefully finished throughout. 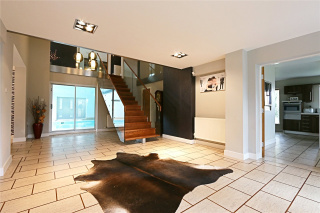 This property has true wow factor and superb leisure facilities to include; indoor pool including hot tub, full sized snooker/games room, gymnasium, first floor balcony with spiral staircase, enjoying the Humber views. 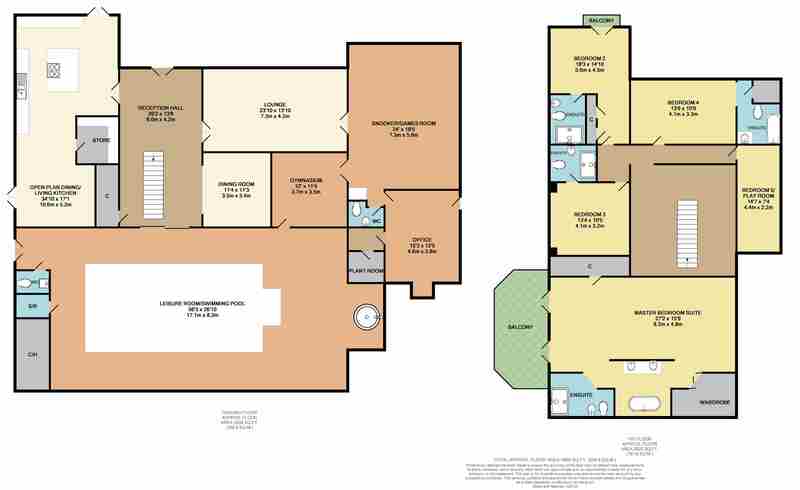 Just take a look at the photographs and floor plan to fully appreciate the exceptional lifestyle this property offers. Location The village of Swanland is regarded as one of the premier residential villages within the area, having a convenient link into the Humber Bridge northern approach road which lies approximately half a mile to the east of the village. Local shopping, public house, sporting and primary school facilities are located in the centre of the village being clustered around the picturesque village pond. A main line British Rail Station is situated at North Ferriby where further shopping and leisure facilities are available. Dining Room 11'4" x 11'3" (3.45m x 3.43m). 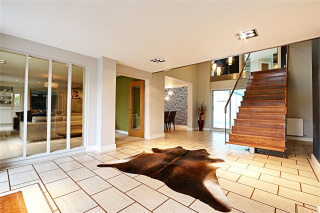 With Karndean flooring throughout. Lounge 23'10" x 13'10" (7.26m x 4.22m). With picture windows enjoying a South facing aspect. There is an integrated entertainment and sound system which extends to most principle rooms. Two sets of double doors lead from the reception and to the snooker room. Open Plan Dining/Living Kitchen 34'10" (10.62m) x 17'1" (5.2m) Max Narrowing To 13'2" (4.01m). The kitchen area has been comprehensively fitted with a stylish range of wood grain finish cabinets with complementing corian worktops. Large centre island unit incorporating an inset four ring hob, separate griddle and wok hob. 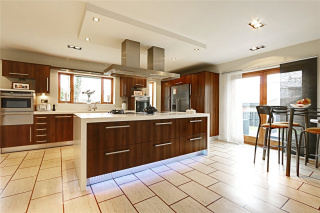 Additional integrated appliances include; American refrigerator, oven with warming drawer, combination microwave oven and recessed wine refrigerator. The sitting area has French doors leading out to the rear decking and patio and includes a feature wood burning stove with mosaic ceramic canopy. A walk-in store has a range of fitted cabinets. Snooker Room/Games Room 24' x 18'5" (7.32m x 5.61m). With porcelain flooring throughout, recessed wine refrigerator and a South facing aspect. Office 15'3" x 12'5" (4.65m x 3.78m). With separate external entrance and wood burning stove. Indoor Heated Swimming Pool 56'3" (17.15m) x 26'10" (8.18m) Plus Recess. With hot tub and WC, wash hand basin, shower and changing room. Plant Room Housing the circulation and filtration system. Gymnasium 12' x 11'4" (3.66m x 3.45m). With porcelain flooring and double doors lead to the snooker room. Gallery Landing This impressive space has glass panel sidings and is a particular feature visible from the main entrance reception. Master Bedroom Suite 27'2" (8.28m) x 15'9" (4.8m) Max Narrowing To 14'8" (4.47m). A part dividing wall and open plan walkways lead to the en suite which includes a shower area with WC and bidet. The bath area has twin vanity wash hand basins and a feature freestanding bath on pebble flooring. There is a large walk-in wardrobe and underfloor heating and two sets of double opening doors lead onto a raised terrace. There is also a view from an internal window over the swimming pool. Bedroom Two 18'3" (5.56m) x 14'10" (4.52m) Max L Shaped. With two large built-in cupboards and double French doors with Juilet balcony enjoy a South facing Humber view. En Suite Shower Room Being fully tiled complementing a three piece suite comprising shower with glass panelling, cantilevered wash hand basin and a low level WC plus underfloor heating and a heated towel rail. Bedroom Three 13'4" x 10'5" (4.06m x 3.18m). En Suite Shower Room Includes a three piece suite comprising shower area, wash hand basin and WC with complementing tiling. En Suite Bathroom With a three piece suite comprising panelled bath, vessel wash hand basin and low level WC. Bedroom Five/Play Room 14'7" x 7'4" (4.45m x 2.24m). With a view from an internal window over the swimming pool. Outside The property stands particularly well in a mature setting, solid hardwood double electric gates provide privacy from the road and a private driveway provides multiple parking which leads to a double garage. The gardens lie principally to the South of the property being mainly lawned including a number of mature trees and shrubs, south facing decking area and granite patio. A feature spiral staircase leads to a large first floor deck which takes full advantage of the Humber view and has direct access from the master bedroom. 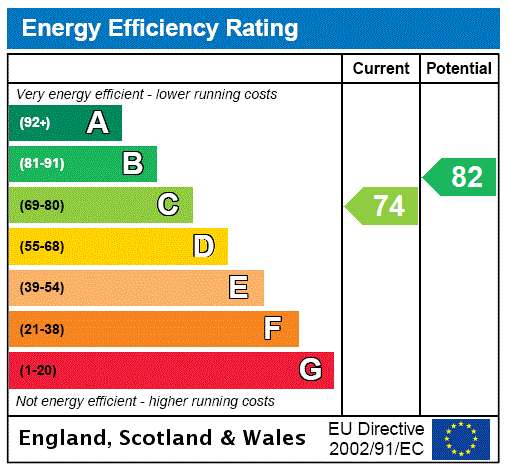 Services Mains gas, water, electricity and drainage are connected to the property.